Make sure your company is compliant with Occupational Health & Safety guidelines! We offer a variety of Red Cross courses including CPR, First Aid, Babysitting, and Stay Safe Courses. 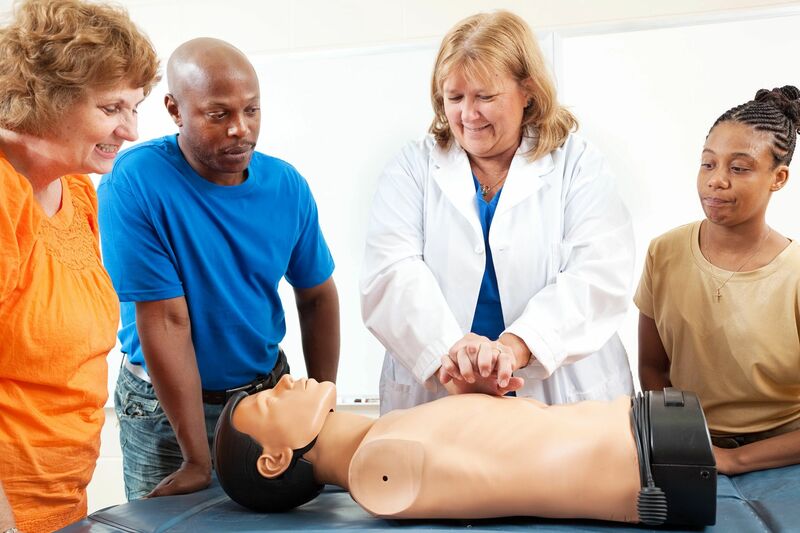 We offer Basic Life Support for Provider courses approved by Alberta Health Services. We have small class sizes, and don't clump everyone into one class. You NEVER have to share a mannequin. We are one of the few companies in Edmonton who offers blended learning: do half your course online and half in class. We offer both Canadian Red Cross and Heart & Stroke Foundation courses. All our facilities have free parking and eating establishments within a short walking distance. Whether for personal reasons, for a job, or to keep your company compliant with Occupational Health and Safety, book a class now!